The butterfly symbolizes a renewal of the spirit, hope, and life. The vine is mentioned in John 15, when Jesus tells his disciples, "I am the Vine; you are the branches." 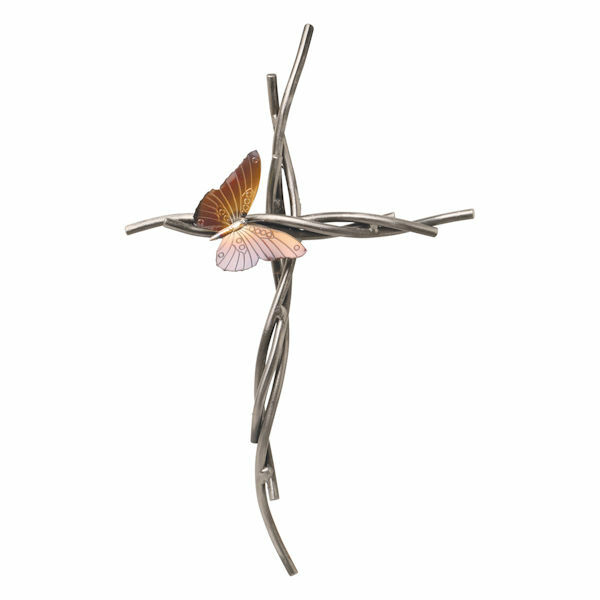 Made in Texas, this hand-bent, hand-framed all-metal sculpture is one of a kind, a work of art and an inspiration. About 10" wide, 17" high.